The Apple Watch, iPhone 6, and iPhone 6 Plus were unveiled during Tuesday's event hosted by the tech giant at the Flint Center in Cupertino, California. We've collected basic information about these devices, along with several images and a video for your appreciation. The Apple Watch, described by the company as "the most personal product" it has ever made, has three distinctive collections: Apple Watch, Apple Watch Sport, and Apple Watch Edition. Watch - Stainless steel or space black stainless steel cases; Sapphire crystal-protected display; a range of stylish bands. 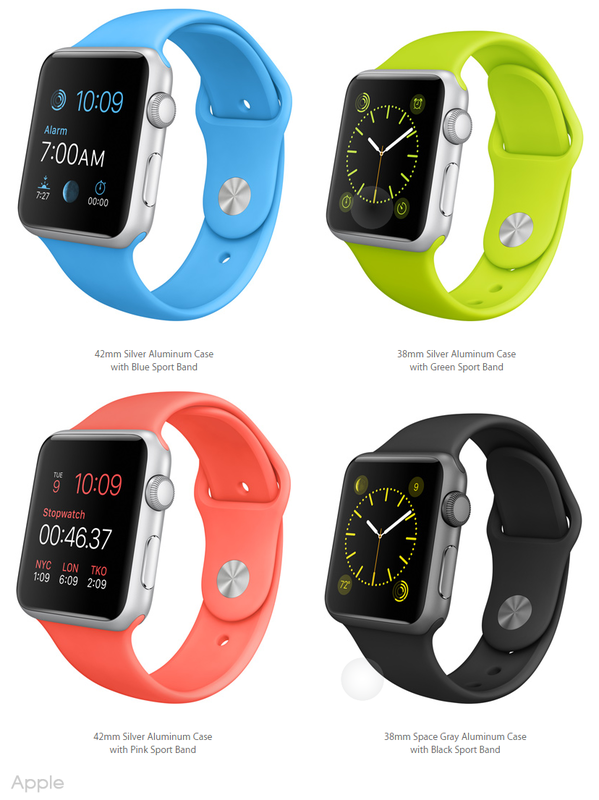 Sport - Anodized aluminum cases in silver or space gray; strengthened Ion-X glass; colorful, durable fluoroelastomer bands. Edition - 18-karat gold cases in yellow or rose; Sapphire crystal; exquisitely crafted bands and closures. Apple Watch, which will be available in early 2015, comes in two case sizes: 38mm and 42mm. Links: Apple Watch design, features and technology. The iPhone 6 and iPhone 6 Plus both have a built on 64-bit desktop-class architecture, a new A8 chip, and an M8 motion coprocessor. Both come with an 8MP iSight camera with a new sensor with Focus Pixels at 1.5µ, a larger aperture at ƒ/ 2.2, and new video features like 1080p HD at 60 fps, slo-mo at 240 fps, and time-lapse video mode. The front-facing FaceTime HD camera now has improved face detection. It captures 81 percent more light and its new burst mode takes 10 photos per second. Connectivity? 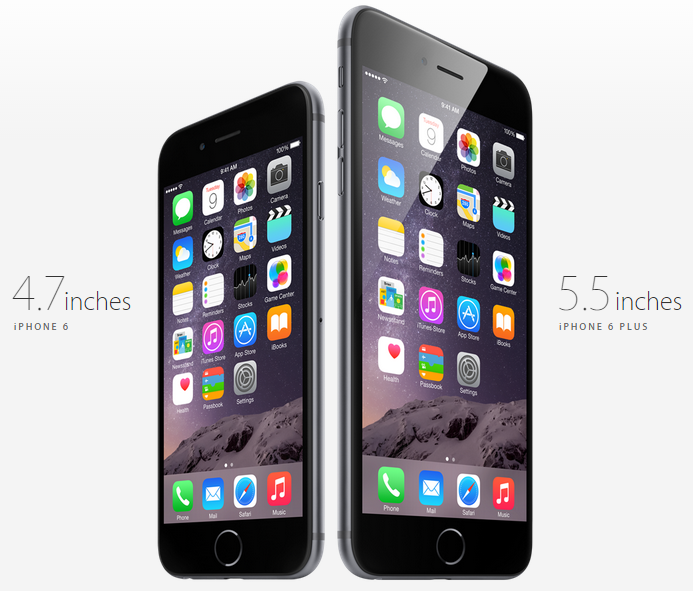 The iPhone 6 and iPhone 6 plus has faster LTE of up to 150 Mbps download speed and up to 20 LTE bands. It also supports Voice over LTE or VoLTE for high-quality calls and crisp and clear conversations. Apple says the new iPhone has support for 802.11ac, that's up to 3x faster Wi‑Fi than with 802.11n. It also lets users initiate calls over Wi‑Fi using their own phone numbers. Links: iPhone 6 Design, Retina HD Display, Technology, Cameras, Connectivity, Touch ID, Apple Pay, iOS 8, Accessories, and Technical Specifications. 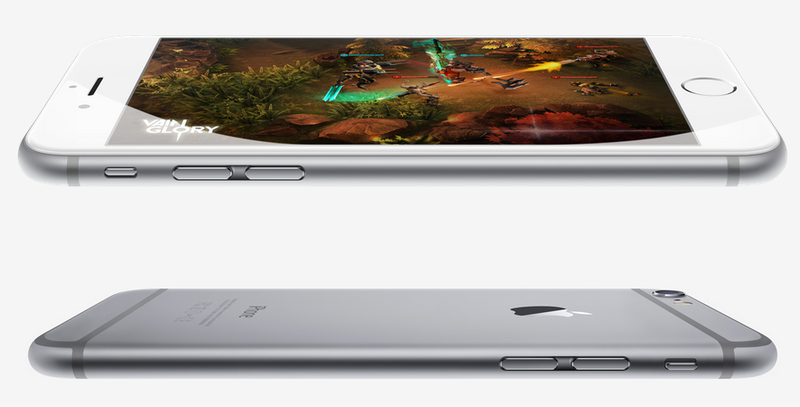 Reports say the iPhone 6 and iPhone 6 Plus will be available in the US and other select markets beginning September 19th. It is expected to be available in the Philippines after a month or two at an estimated price range of P36,000 to P44,000 for prepaid and lesser for postpaid plans.